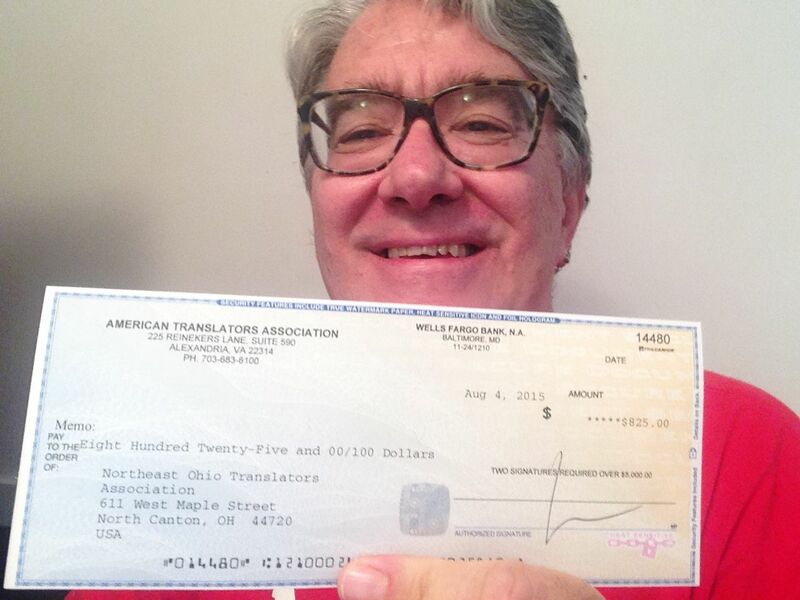 Jamie Padula, ATA Chapter & Division Relations Manager, issued our 2014 Chapter Rebate this month. Headquarters reviewed ATA’s 2014 membership database to calculate our chapter’s annual 10% rebate http://www.atanet.org. The chapter rebate is based on the 2014 membership renewal forms. Members do not always elect a chapter to receive a rebate and not all members pay the same dues (e.g. students, two members in one household, etc.) This might explain some discrepancies between the estimated number of ATA members in our chapter and the Headquarter’s data. Remember to check NOTA when you renew for the 2015 rebate. Our check totals $825.00. A tip of the hat to Jill, Membership Chair and Reinhold, trusted treasurer, who helped make this happen. We thank Jamie and you who continue to support ATA and the local chapter. How a court matter is handled from beginning to end illustrates the way in which legal systems can be parallel and yet extremely different at the same time. For legal translators, understanding the differences and similarities is critical. Strengthen your translation skills by expanding your knowledge of the current legal systems in French-, English-, and Spanish-speaking countries. Attend this webinar for a comparative analysis of the main characteristics of all three and examine resources that can assist you in researching accurate terminology. Click for registration and details. http://www.atanet.org/webinars/ataWebinar127_legal_systems.php. Register for the webinar now and a link to the recorded version will be sent to you after the event.